Can You Identify This View of Buffalo Bayou? Where was this photo taken? And how does the bayou look there now? Somewhere on Buffalo Bayou. Photo by Geoff Winningham prior to 2001. Okay, it’s not difficult. 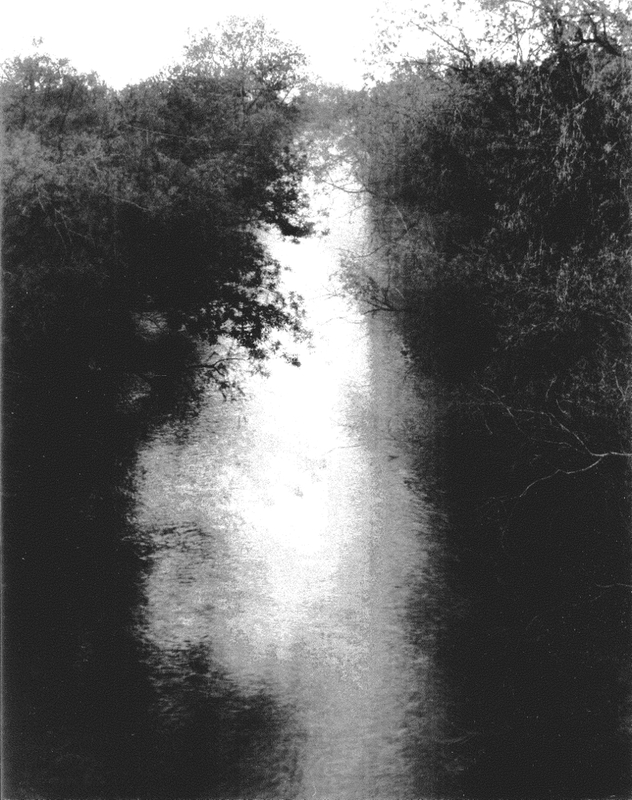 It’s in Geoff Winningham’s beautiful book of black-and-white photographs of Buffalo Bayou. Winningham, who teaches photography at Rice University, spent five years from 1997 to 2001 chronicling Buffalo Bayou from its beginning in the Katy Prairie to its end in Galveston Bay. The book, Along Forgotten River, published in 2003, includes accounts of early travelers in Texas from 1767 to 1858. The book can be purchased here. Send us your shot of this location on Buffalo Bayou as it looks now. 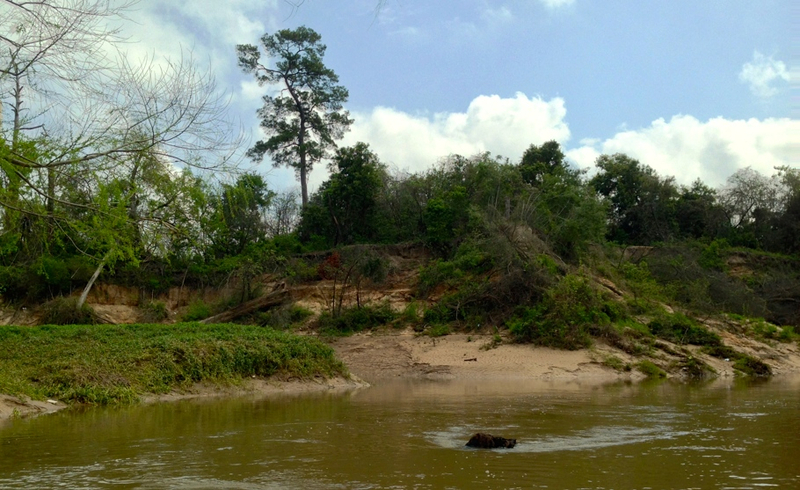 We’ll publish the best of what we get and send the winner a Save Buffalo Bayou bumper sticker. We’re going to make this a regular series so keep looking. … Often along these shady banks have I rowed my little skiff and wondered if ever some Bard had consecrated its border shades by a correspondent flow of song … — J.C Clopper’s Journal and Book of Memoranda for 1828, Province of Texas, quoted in Along Forgotten River by Geoff Winningham. 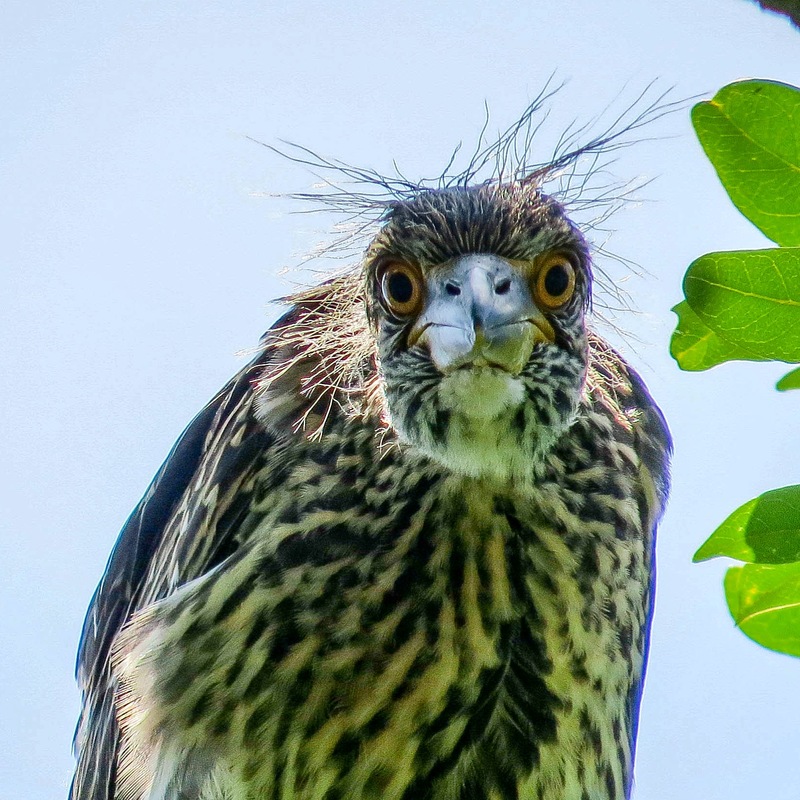 The normally silent, spreading crowns of the live oaks along North and South Boulevards in Houston have been turned into noisy rookeries these past few weeks as yellow-crowned night herons and great egrets moved in to build nests and start families. The same densely-populated housing developments have no doubt been built all over the city in shady trees with relatively close access to nearby bayous and creeks for food. In this case, the parents appear to be bringing home fish and other edibles from Brays Bayou. The noisy bird activity (squawks and kraks and lots of fluttering) has also drawn out bird watchers and photographers, including Allison Zapata, who’s been posting her photos on her website and on Twitter. She took the following photo of a juvenile yellow-crowned night heron and sent it to us. Houston is on the Central Flyway for migrating birds. Yellow-crowned night herons and great egrets reside in the Houston area year-round. But Allison, who’s been watching these birds, said they were are on their way to somewhere and would be back again in the fall. Juvenile yellow-crowned night heron pondering whether to fly or stay in the nest as long as possible. Photo on May 20, 2016, by Allison Zapata. What’s the Plan for the Hogg Bird Sanctuary? Anyone interested in the future of that small bit of brambly bird paradise on Buffalo Bayou known as the Hogg Bird Sanctuary will want to attend the public meeting on Monday evening, May 9, near Memorial Park. The 15.56 acre public park at the end of Westcott Road south of Memorial Drive was donated to the City of Houston in 1958 by the late Ima Hogg as a nature preserve. In 1924 the Hogg Family had sold at cost to the City of Houston the land that is now Memorial Park, formerly a part of Camp Logan. The bird sanctuary is now part of Memorial Park and includes a large parking lot, a visitor center, as well as the entrance to the footbridge that leads across the bayou to Ima Hogg’s former home, now the Bayou Bend Collection and Gardens, a part of the Museum of Fine Arts, Houston. In 2014 the sanctuary was listed as one of Preservation Texas’ Most Endangered Places because of the threat from the Memorial Park Demonstration Project. The meeting is to update the public on proposed plans for the park, for which the Houston Parks Board reportedly has received a $1 million gift. According to the announcement, a steering committee of stakeholders, using the Memorial Park Conservancy’s Master Plan (see page 132) as a starting point, has conducted additional research with consultant Design Workshop and developed new ideas. The meeting will take place from 6:30 to 7:30 p.m. in the Fellowship Hall of St. Theresa’s Catholic Church, 6622 Haskell Street, on the northeast side of Memorial Park. The Houston Parks Board, along with the Memorial Park Conservancy and the Houston Parks and Recreation Department, is sponsoring the meeting. 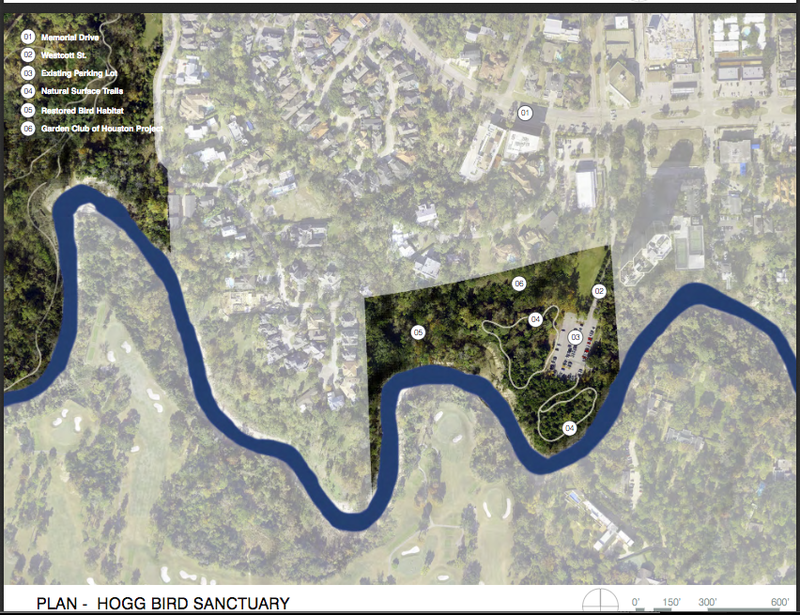 The 2014 Memorial Park Master Plan for the Hogg Bird Sanctuary. Richard P. Keeton, a prominent Houston trial lawyer, has joined the board of Save Buffalo Bayou. Keeton is a graduate of the University of Texas and the UT Law School and is currently of counsel to the international law firm McGuireWoods. He has been included in The Best Lawyers in America since 1983. He is an enthusiastic supporter of the bayou and an invaluable advisor to Save Buffalo Bayou. The Katy Prairie Conservancy has announced that the Harris County Engineering Department has corrected the email link for commenting on proposed changes to the Harris County Major Thoroughfare and Freeway Plan that will damage the Katy Prairie. The comment period has been extended until May 13. The Katy Prairie Conservancy has sent out an urgent notice of a Harris County plan to build new roads in and around the Katy Prairie Preserve. The preserve is a nonprofit land trust project to restore and protect historic wetland prairie in Waller and western Harris counties. Buffalo Bayou originates in the Katy Prairie. Prairie wetlands, rapidly being destroyed and paved over by development, are vital for clean water and flooding mitigation, as are forested riparian zones along the banks of streams such as Buffalo Bayou and its tributaries. The Harris County Engineering Department is holding a public meeting Monday, May 2, 2016, on proposed changes to the Major Thoroughfare and Freeway Plan (see particularly pages 25 through 29) that will “degrade the Katy Prairie Preserve System,” according to the conservancy. The meeting takes place from 5:30 to7:00 pm at the Hockley Community Center, 28515 Old Washington Road, in Hockley, Texas. Proposed future development map of roads crisscrossing the Katy Prairie Preserve. Map from page 27 of the Harris County Engineering Dept. 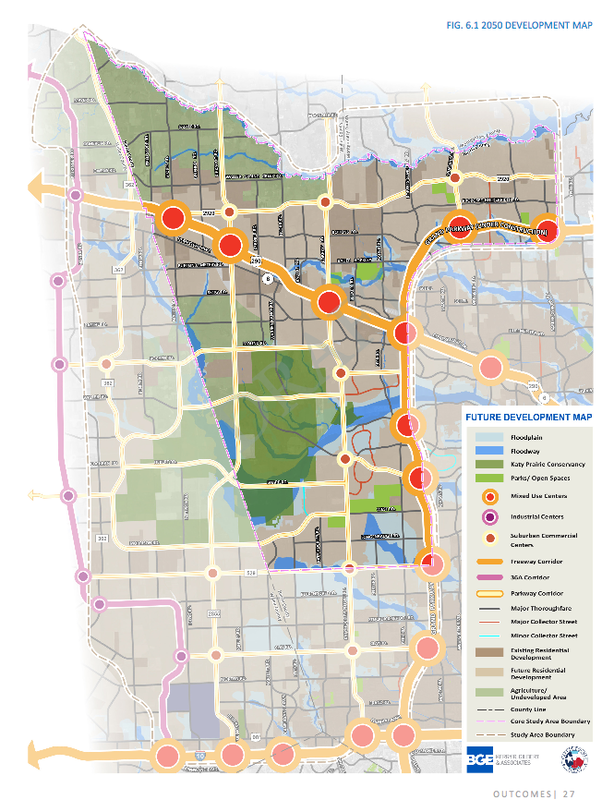 US 290 Area Major Thoroughfare Study. 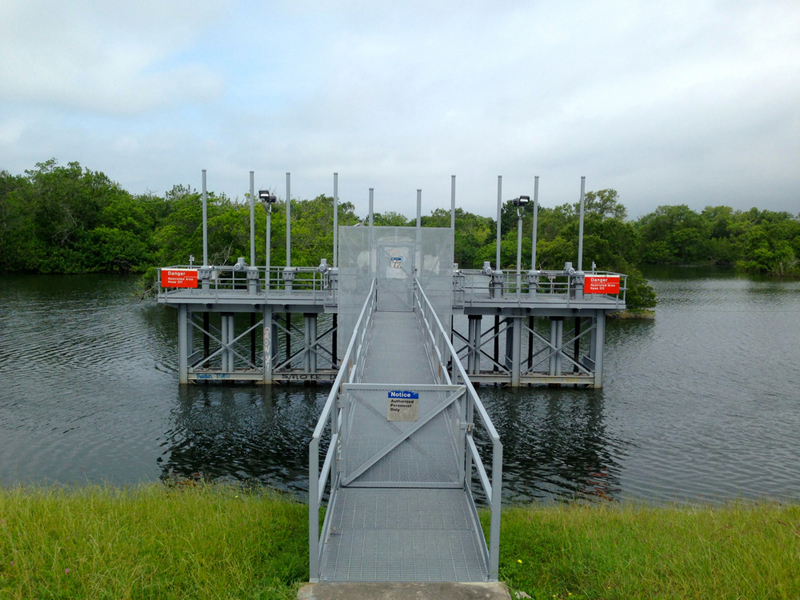 The conservancy says that while Harris County is proposing to dispense with parts of the one-mile road grid through some of the preserves, the county also recommends constructing new roads in sensitive and/or inappropriate areas. 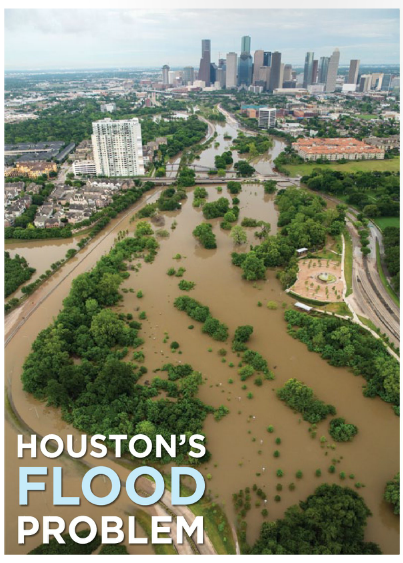 In general, the plan does not effectively take into consideration the importance of the Katy Prairie preserves in reducing flooding, improving water quality, providing wildlife habitat, and offering recreational opportunities for the residents of the Greater Houston area. Roads should go around the Katy Prairie preserves and not through them. Roads can move, nature cannot. KPC does not support the new proposed east-west road through the upper third of the Warren Ranch; it will cause fragmentation and impair ranch operations. KPC does not support the new proposed north-south road through the conservation easement lands owned by KPC’s conservation easement donors; this land provides sensitive habitat and flood protection as well as other environmental benefits. It should be protected. A number of the proposed new roads, if built, would be under water during flood events if the most recent flood event is any indication of where floodwaters go on the prairie.